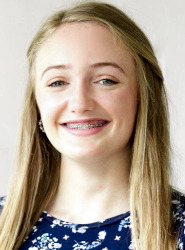 Distinguished Young Women of Rhea County is part of a national scholarship program that promotes and rewards scholarship, leadership and talent in young women. Cash scholarships are awarded at the local level and millions in college-granted scholarships are available ($1 billion nationally). And local winners will advance to the state program in Cleveland, Tennessee where they give away more than $12,000.00 in cash tuition scholarships. And it’s FREE to participate! PLUS help pay for your college education! You must be a junior in high school to participate. Sign up today so you don’t miss out on this life-changing experience!